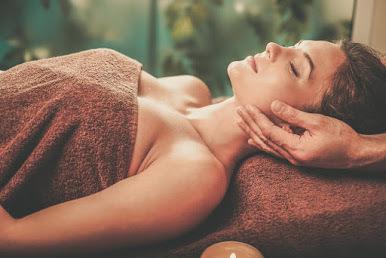 Essential oils can give your skin that much needed rejuvenation therapy which will leave you feeling younger, fresher and a whole lot energetic. Another property of these oils is that most of them have a relaxing fragrance that can help ease your mind as well. "This Infographic – 10 Best Essential Oils For Flawless Skin - Was Created By Fixyourskin.com"
This works great for clearing up acne from your face. Tea tree oil also dries out blemishes to give you good looking skin. This oil can be directly applied to the skin with a q-tip and has immediate effect. You will find that it decreases the swelling and redness on your skin pretty quickly. When using jasmine oil you can actually pair it up with your regular skincare body or face lotion for getting rid of dry or patchy skin. This oil does away with the appearance of scarring and stretch marks on your skin and is suitable for people with sensitive skin as well. If you want to minimize pores, all you need to do is apply a few drops of lemongrass oil directly to your face. This is known to make your skin firmer and suppler. Lemongrass oil can replace your toner in your skincare program. Peppermint oil is amazing for treating chapped skin as a result of allergies, bug bites or other irritants. It has a cooling effect on your skin. This cooling effect in combination with its healing properties gives your clear skin from rashes. Definitely something to rely on as backup in your routine. Similar to jasmine oil, chamomile helps in the clearing of scars and other imperfections on the skin including stretch marks. People also use it to treat damages to the skin in the form of cuts and wounds as it acts like a barrier preventing further infection on the skin. It has great benefits for your skin starting from being a sunscreen and also amazing rejuvenating properties. Carrot seeds give tired skin a huge amount of relief from tired or aging skin that needs intense repair. Ylang-ylang oil gives your skin a fresh and supple makeover regardless of your skin type. It has this property of balancing excessively oily or dry skin and brings it to normalcy. People have found that it stimulates hair growth when used on the scalp. Sandalwood oil is a fantastic moisturizer that has been used since a long time ago. It rehydrates skin of any type and treats wrinkles and most signs of aging on your face and body. Blackheads are a point of concern with a lot of people. Coriander helps remove those stubborn pimples around sensitive areas and give you fresh and clean looking skin. You can try this paired with turmeric powder. This essential oil acts as a toner to your skin and normalizes your skin tone the more you keep using it. Rose oil is a great alternative to lemon which is found to make your skin sensitive to light. Before applying an essential oil directly to your skin, you need to make sure that you know what concentration the oil is at. Most oils are very concentrated and needs to be diluted, which can be accomplished with lotions, water or powders. If you want to make sure that your skin is compatible with a particular oil, you can take half a teaspoon of olive oil and the oil you are going to text and apply it on the inside of your upper arm. The results of which will help you determine tolerance levels throughout your body. 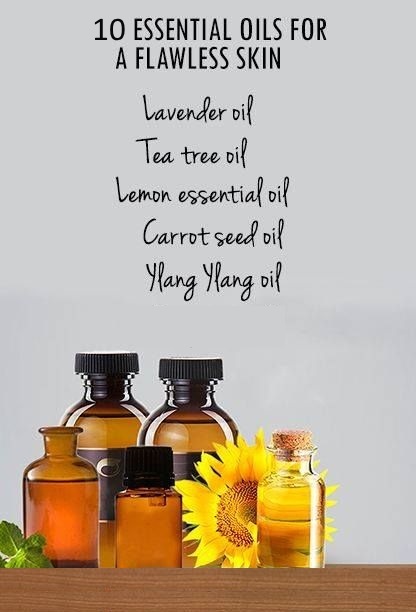 Hopefully, this short guide helped you choose the right essential oil for your skin. Do tell us about your experiences with them as it can help the community get more insight into this.